The objectives of the Field Naturalists Club of Ballarat are to stimulate interest in natural history and to encourage the preservation and protection of the natural environment. ……then you are welcome to come along to our monthly meetings or field trips listed on the Calendar page. 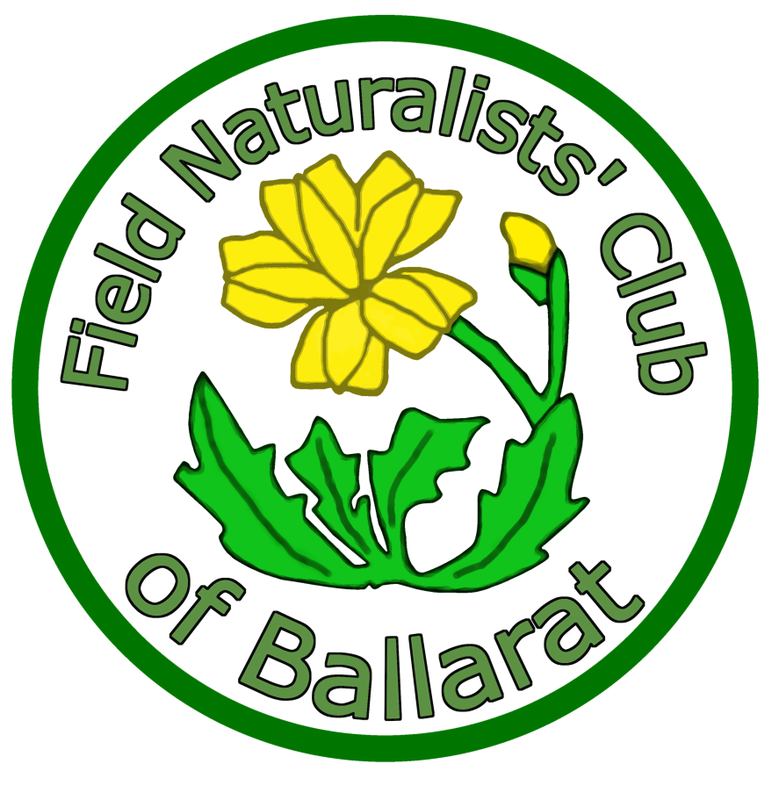 Field Naturalists Club of Ballarat was formed in 1952. The Field Naturalists have established an outstanding record of commitment to the environment. Since formation, amongst many activities, the club has made contributions to several national natural history databases, participated in tree planting projects, successfully lobbied to ensure preservation of environmentally-significant public land, assisted students in their research, conducted inventories of bush sites, serviced many requests for information about the region’s natural heritage and assisted schools with educational activities. In recognition of their achievements, the Field Naturalists Club of Ballarat was presented with a BEN Environment Award in 2002. The Field Naturalists Club of Ballarat is part of the network of natural history groups making up the South East Australian Naturalists Association. South East Australian Naturalists’ Association organises two camps each year hosted by one of the member groups. The host organise speakers and excursions to the best local bushland areas. The camps are an excellent opportunity to meet people with an interest in the environment and visit interesting areas of south-east Australia. WHERE: Federation University, cnr Gillies and Gregory Streets, Ballarat. WHEN: 7:30 pm on the first Friday of every month except January. Start from Federation University car park, cnr Gillies and Gregory Streets, Ballarat, at 9.30 am sharp, usually on the Sunday following meeting. More information about meetings and field trips on Calendar page. If you are interested in becoming a member please read the Field Naturalists Club of Ballarat Constitution and complete the Application Form. Membership must be approved at a committee meeting prior to payment. If approved you will be notified with the details on how to pay the membership fee.